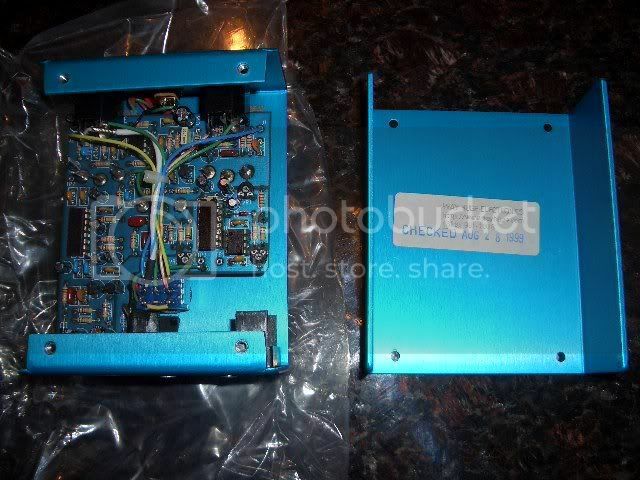 Has anyone yet been able to verify to what extent the Aqua Puss is different from a DM-2 (without flipflop)? Last edited by modman on 02 Sep 2007, 18:23, edited 1 time in total. The AquaPuss definitely had the closest cop of the echoplex. The Boss DM did not have the clarity of tone. Probably chalk it up to build quality. I'd love to have one!! The AquaPuss definitely had the closest cop of the echoplex. Have you tried the Ibanez DE-7 yet? Is it me, or the gutshot has only a BBD, a clock driver IC and a quad opamp and NO compander (NE571)? Hmm... 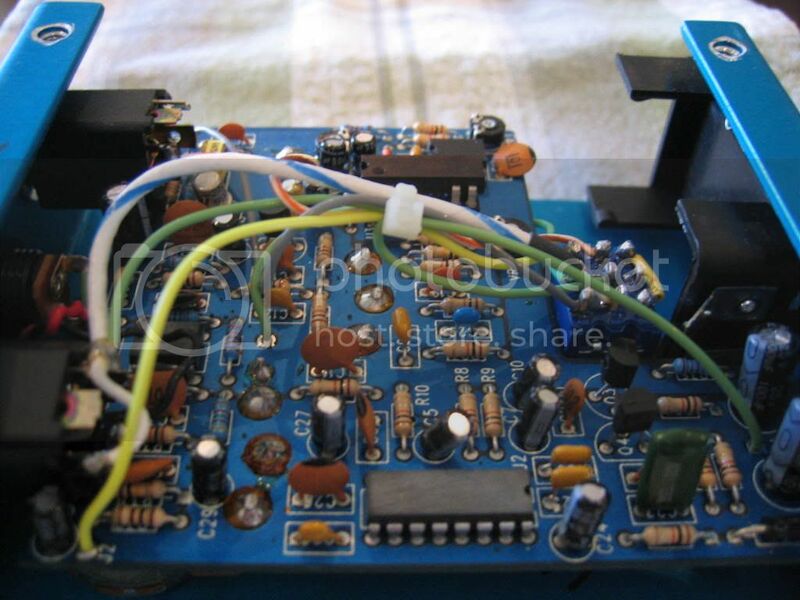 I don´t know, I can recognize a BBD near the clock chip, 2 transistors, a 8 pin chip below the cables (dual Op-amp?) - and a 16 pin IC which can´t be a quad Op-Amp (which would have only 14 pins). HI GUYS!I THINK THAT EH MEMORY MAN DELUXE IS THE BEST ANALOG DELAY!I POSTED ALL THE SCHEMATIC PCB AND LAYOUT PLUS A MOD TO DOUBLE THE TIME TO MODMAN AND YOU CAN FIND IT INTO THE DIY EFFECTS PROJECTS !TRY IT!by KAPUTEPALLA!!!!! 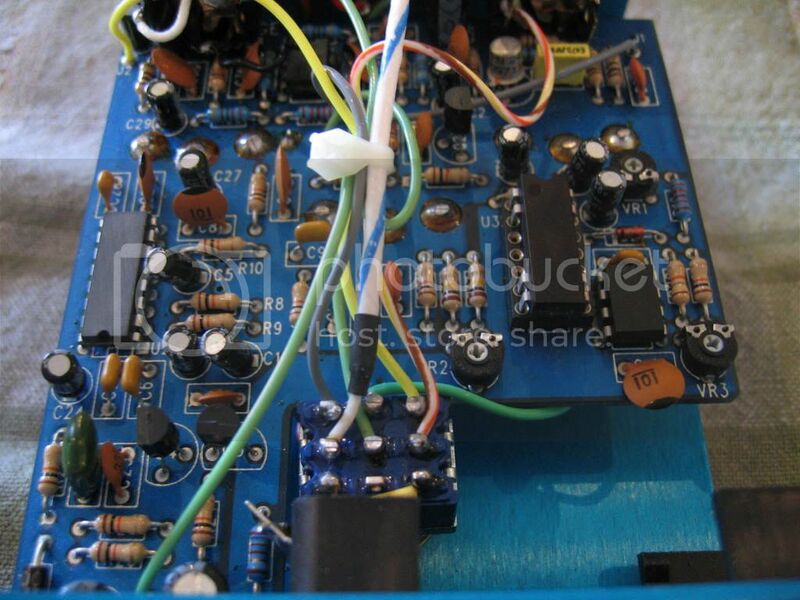 alessandro wrote: HI GUYS!I THINK THAT EH MEMORY MAN DELUXE IS THE BEST ANALOG DELAY!I POSTED ALL THE SCHEMATIC PCB AND LAYOUT PLUS A MOD TO DOUBLE THE TIME TO MODMAN AND YOU CAN FIND IT INTO THE DIY EFFECTS PROJECTS !TRY IT!by KAPUTEPALLA!!!!! Good to have you aboard Alessandro! Thank you for the project. I haven't tried the Ibanez, but thanks for the heads up! Anyone notice that metal can transistor hiding near one of the jacks? I was thinking of smoothing out BBD delay noise by using a germanium transistor, but it looks like he beat me to it. Also, the BBD chip seems to be a mn3x05 or mn3008/3208B (no surprise). The data sheets refer to the strange 8pins-package-big- enough-for-14-pins as 'larger 8pin dip'. The 16-pin chip by itself could be a lm136/700, used for compansion, or extra filtering. Last edited by celadine on 05 Sep 2007, 18:31, edited 1 time in total. Anyone notice that metal can transistor hiding near one of the jacks? I'll see what other information I have on my other computer. analogguru wrote: Hmm... I don´t know, I can recognize a BBD near the clock chip, 2 transistors, a 8 pin chip below the cables (dual Op-amp?) - and a 16 pin IC which can´t be a quad Op-Amp (which would have only 14 pins). You are right, AG. In the first image posted I couldn't see the opamp under the cables. The new set of gutshots make it pretty clear. 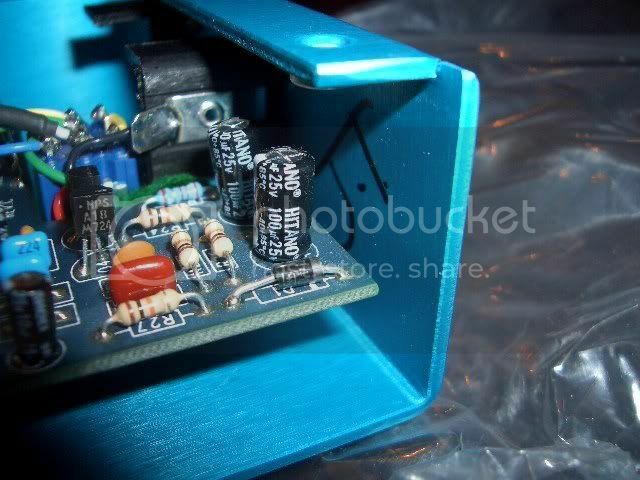 One thing that makes an interesting change in sound are the rectifier filter capacitors in the compander. Boss uses 220n (DM2, DM-3), Ibanez 470n (AD-100), and EH 1u. This changes the perceived attack on the delayed notes. In particular, small caps like 220n produce a softer attack that is nice for reverb-like sounds. On the other end, 1u retains the natural pick attack of the strings. Experimentation is recommended in this area. Last edited by estragon on 05 Sep 2007, 15:39, edited 1 time in total. The 16 pins chip 90% is the NE 570 or NE 571N (are the same) used in the most popular delay as expander comander and to reduce BBD noise!I'm very interested in this effect!Have you traced the pcb?CIAO!!! 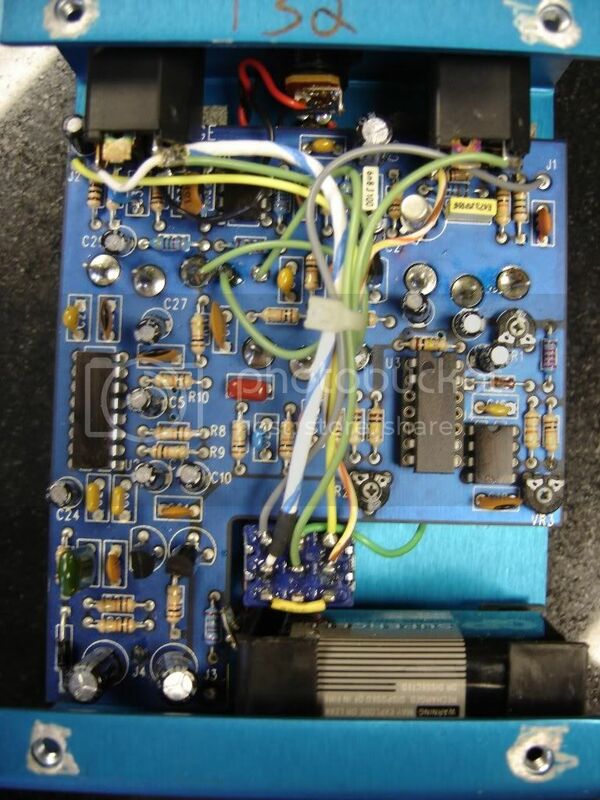 alessandro wrote: The 16 pins chip 90% is the NE 570 or NE 571N (are the same) used in the most popular delay as expander comander and to reduce BBD noise!I'm very interested in this effect!Have you traced the pcb?CIAO!!! The new set of pictures correspond to at least two different units. One of the pictures show 220n capacitors near the 16-pin IC, presumably used for the rectifier filtering. This would lead to believe the Boss companding circuit is employed. It is necessary to determine if the antialiasing pre and post filters use Boss values or are different, thus producing a different/better overal sonic characteristic. Another question is, is the BBD an MN3005 fed from +9V or an MN3205 fed from a lower voltage?